Last edited by American Patriot; June 3rd, 2016 at 03:33. It is funny that they are preparing to deal with the effects of a magnitude 9.0 earthquake along the Cascadia Subduction Zone, because that is precisely the size of earthquake that I warned about in an article back in March.The San Andreas Fault in southern California gets more headlines, but the Cascadia Subduction Zone is a much larger threat by far. 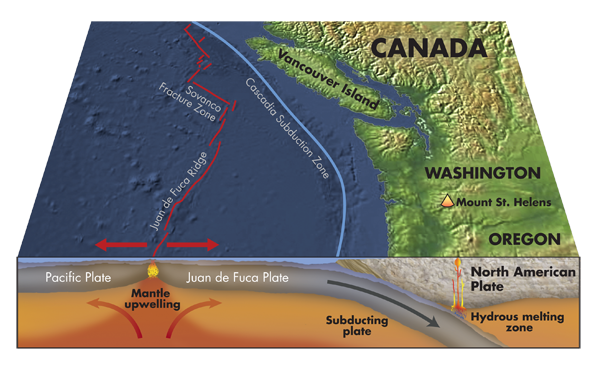 This fault zone is where the Juan de Fuca plate meets the North American plate, and it stretches approximately 700 miles from northern Vancouver Island all the way down to northern California. If a magnitude 9.0 earthquake were to strike, the immense shaking and subsequent tsunami would cause damage on a scale that is hard to even imagine right now. Perhaps this is why FEMA feels such a need to get prepared for this type of disaster, because the experts assure us that it is most definitely coming someday. The following comes from the official website of the “Cascadia Rising” exercise…A 9.0 magnitude earthquake along the Cascadia Subduction Zone (CSZ) and the resulting tsunami is the most complex disaster scenario that emergency management and public safety officials in the Pacific Northwest could face. Cascadia Rising is an exercise to address that disaster. If you don’t think that the scenario that they are studying is realistic, perhaps you should consider the fact that the largest earthquake in the history of the continental United States stuck along the Cascadia Subduction Zone back in 1700. The following comes from CNN…In fact, “the Cascadia” already has made history, causing the largest earthquake in the continental United States on January 26, 1700. That’s when the Cascadia unleashed one of the world’s biggest quakes, causing a tsunami so big that it rampaged across the Pacific and damaged coastal villages in Japan. Yes, we all remember the big Hollywood blockbuster about the San Andreas fault. But if they wanted to be more realistic, they should have made the movie about the Cascadia Subduction Zone. According to a professor of geophysics at Oregon State University, the Cascadia Subduction Zone has the potential to create an earthquake “almost 30 times more energetic” than anything the San Andreas Fault can produce…Everyone knows the Cascadia’s cousin in California: the San Andreas Fault. It gets all the scary glamor, with even a movie this year, “San Andreas,” dramatizing an apocalypse in the western U.S.
And the kind of tsunami that would be created by such a massive quake along the Cascadia Subduction Zone would absolutely dwarf the massive tsunami that struck Japan back in 2011. 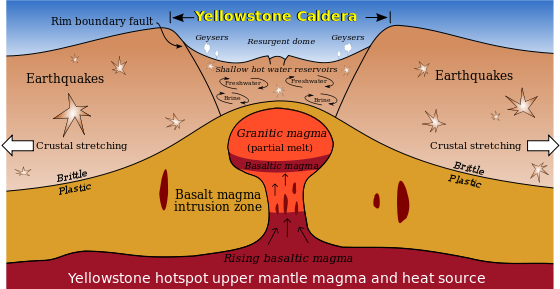 In fact, an article in the New Yorker quoted the head of the FEMA division that oversees Oregon, Washington, Idaho and Alaska as saying that “everything west of Interstate 5 will be toast”…If the entire zone gives way at once, an event that seismologists call a full-margin rupture, the magnitude will be somewhere between 8.7 and 9.2. That’s the very big one. Cullen Insurance Agency with Carolyn Nancy Gonzales and 8 others. Southern California Residents, please be advised that an Earthquake Advisory has been issued. Help pass the word by sharing this post now. California Office of Emergency Services believe that the San Andreas fault may have an earthquake with a magnitude of 4.3 or higher between now and Tuesday. LA Times and KTLA has reported a rapid succession of more than 200 earthquakes — three measuring above magnitude 4.0 — began rupturing near the San Andrea's fault in what experts call an Earthquake Swarm, continuing for more than 24 hours. The majority of Southern California, and also Kern County, has been put on an earthquake advisory. Make sure you have your 3-day emergency kit, a family plan and water. Pass the word. The Earthquake Advisory will remain in effect until Tuesday at 9:00 a.m. and includes the following counties: Los Angeles, Orange, Riverside, Kern, Ventura, San Bernardino, San Diego and Imperial. The California Earthquake Prediction Evaluation Council with the California Office of Emergency Services believe that areas along the San Andreas fault have a heightened probability of an earthquake with a magnitude of 4.3 or higher. Call now for Earthquake Insurance at (661) 728-1455. A magnitude 5.0 earthquake struck Sunday near Cushing, Oklahoma, according to the U.S. Geological Survey. The U.S. Geological Survey reported the earthquake struck at 7:44 p.m. CST, with an epicenter located one mile west of Cushing, located about 50 miles northeast of Oklahoma City. 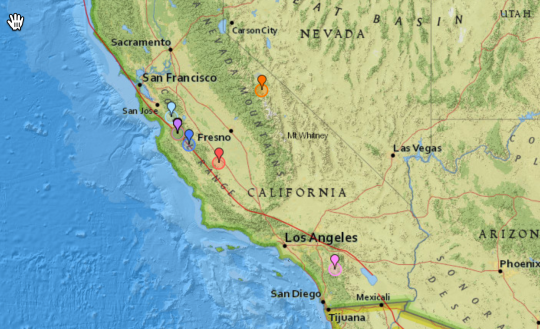 The USGS initially stated it was a magnitude 5.3 earthquake but lowered that rating to 5.0. The quake was felt as far away as Kansas City, Missouri, and Little Rock, Arkansas. The Cushing Police Department reported "quite of bit of damage" from the earthquake but details were not immediately available. Cushing, which has a population of about 7,900, bills itself as the "Pipeline Crossroads of the World." It is home to the Cushing Tank Farm, a massive oil storage facility that's touted as the world's largest. A 7.4 in New Zealand and a 6.2 in Argentina and Monday is the closest Super Moon since 1948. Looks like Fukushima just had a 7.3 with tsunami warnings issued. Up to 10ft Tsunami warning...no damage reported at Fukashima plant. 90 centimeter Tsunami measured at nearby port. Last edited by Malsua; November 21st, 2016 at 23:40. They revised it downward to a 6.9. ETA: And Japan Meteorological Agency is upgrading to 7.4. So is the world dead? Today we've had a 6.5 100mi west of Ferndale, CA and a 7.7 near the Soloman Islands. He said in 2006: “It’s a stainless steel superstructure that looks like a daddy-long-legs. It is Dr LaHusen’s job to relay the information his team finds and warn if a serious event could be on the cards.